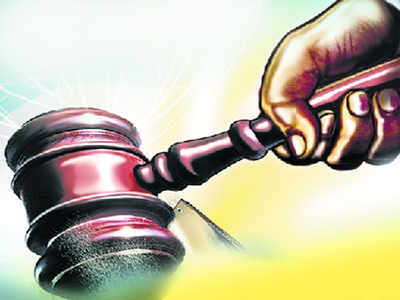 VADODARA: An owner of a city-based medical agency applied for anticipatory bail in the sessions court, after Food and Drug Control Authority raided his premises for allegedly buying and selling spurious drugs. Om Prakash Maheshwari, who owns Puja Distributors in Raopura, applied for anticipatory bail on Monday. The Food and Drug Control Authority had raided Maheshwari’s premises in January and found that the main ingredient in medicines was nil. In his bail application, Maheshwari has mentioned that he is under the fear that the authorities will arrest him under the pretext of non-bailable warrant without conducting preliminary investigation. He told the court that though the raid was conducted in January, the authority registered the case after a month. The application also mentioned that the authority had not found any invoices or any other proofs of sale of the medicines in question by Maheshwari. When the officials of the Food and Drug Control Authority had raided, Maheshwari had cooperated with them and had given statement so there is no need of custodial interrogation, the application mentioned. The application will be heard on Tuesday by additional district and sessions judge R K Chudawala.